When did you start diving? : I learned to dive in 2009. What's your most memorable dive? : The Pinnicle dives in Saba are the most memorable for me. It was the first time I'd been that deep (100+ feet), and we were visited by a huge Leatherback Turtle! Where is the most exotic place you've dove? : Again, Saba is the most exotic place I've been so far. But I've only just begun to travel! Looking forward to even more exotic locations soon! What's on your Diving Bucket List? : Fiji and Africa are the two places I really want to dive. Favorite hobby outside of diving: I love to read and cook and play with my puppies! 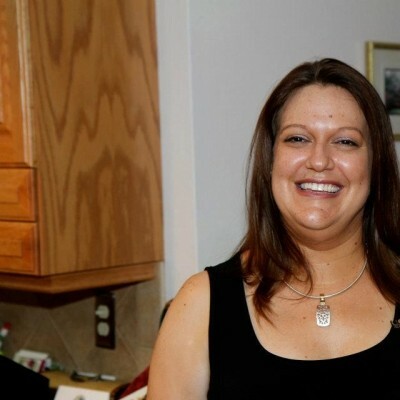 Born in Nebraska, Becky moved with her family to Merritt Island in 1983. After graduating High School, she worked in Real Estate before attending UCF and earning her degree in Early Childhood Education. After a few years of teaching, the opportunity to work with her husband and take over the family business was too good of an opportunity to pass up. She now co-owns the store with Jeff, is the cheerful voice you'll usually hear when you call, and is the driving force behinds the scenes at ADI. When did you start diving? : I learned to dive in 1984, when I was the ripe old age of 8. That was back before there were rules on how old you had to be to start diving. What's your most memorable dive? 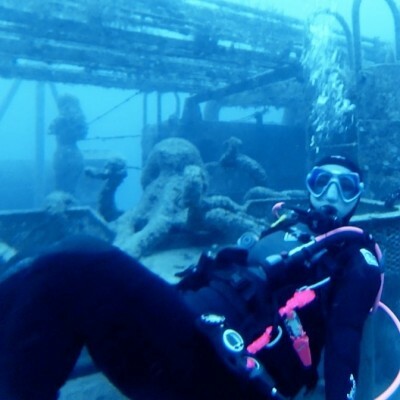 : Diving the Hydroatlantic Wreck in South Florida is one of my most favorite dives. It's a huge ship in very deep water. Because it's a natural wreck, it just has a different feel to it than most wrecks down there, and it's been there so long that there is a ton of life on it. Where is the most exotic place you've dove? : I'd have to say our recent trip to Saba is the most exotic so far. It's not your typical "Carribean Island" in that there are no sandy beaches and no throngs of tourists! It's a quaint little island that caters to divers. All around a great experience! What's on your Diving Bucket List? : I am looking forward to being able to dive in the Galapagos Islands. The sheer amount of life that you are constantly surrounded by while there is mind-blowing to me. And the high chances of encountering whale sharks is a nice bonus! Favorite hobby outside of diving: I am a saxophonist (actually have a degree in music) so I like to play blues and jazz when I can. I also ride my motorcycle...a lot! Jeff has, quite literally, grown up at ADI. His parents, D.J. and Edith opened ADI back in 1980 when he was 4 years old. 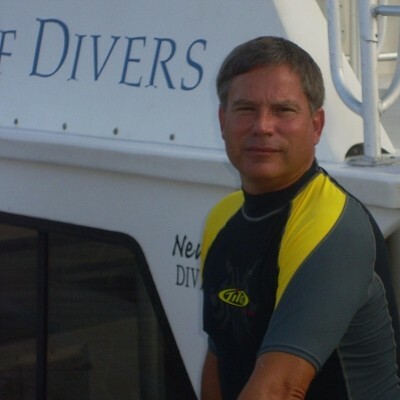 So he has been in and around the scuba diving industry for 30+ years! 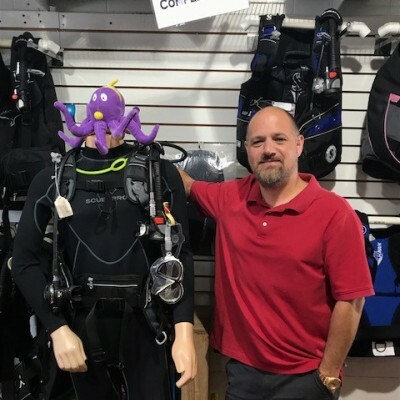 The opportunity to take over the family business came at the perfect time for Jeff and his wife, Becky, and allows ADI to continue to serve the diving community for decades to come! When did you start diving? : 1983 while stationed on Okinawa. What's your most memorable dive? : While on Okinawa, my dive buddy frantically pointed behind me. And as I turned around, I saw juvenle Whale Shark! I had a camera, but only managed to get a shot of it's tail before it disappeared in the distance. What's on your Diving Bucket List? : Too long to list! Favorite hobby outside of diving: I like to read. 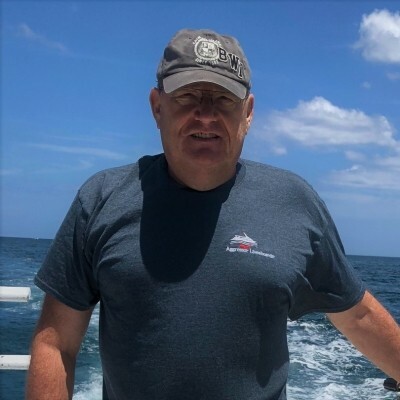 Dean moved to Florida in 1991 and began working in the repair section along side Jean Morin, in addition to teaching Scuba classes. In 2000, he had the opportunity to work for SeaWorld, but remained a fill-in technician for ADI. 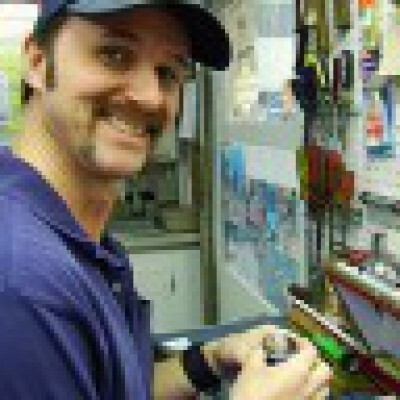 In 2005, Dean returned to ADI as our repair technician. 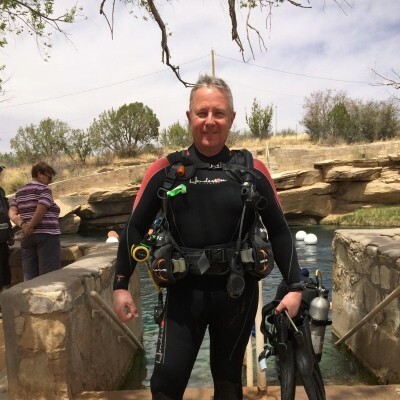 Dean has been a factory trained service technician for over 30 years for companies like, Scubapro, Aqualung, and Sherwood. When did you start diving? : I started diving in 1980 while in the Navy. I wasn't really interested in diving at first, but it was a requirment. Turns out, I really enjoyed it. What's your most memorable dive? 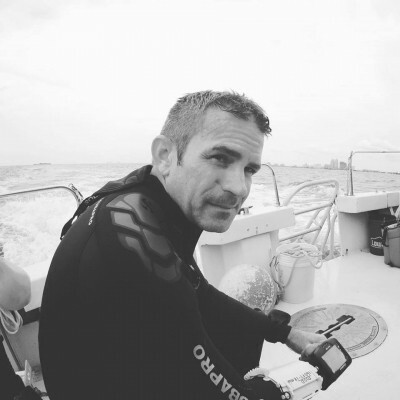 : On a dive in South Florida, right as I jumped into the water, I put my regulator in my mouth and discovered the Divemaster had filled it with Pineapple Juice! This was in retaliation for me "accidently" pushing her into the water previously. Certainly made for a memoriable dive! Where is the most exotic place you've dove? : Galapagos Island: You don't see just one of anything there. Lots of large creatures; spotted eagle rays, hammerheads, whale sharks, sea lions, dolphins, the list goes on and on! What's on your Diving Bucket List? : Truk, Palau, and Yap. Truk is the wreck captial of the world, and Palau and Yap have so much history. It's just a unique place and I can't wait to see it! Favorite hobby outside of diving: I love to fly model airplanes. I currently have over 20 airplanes! When did you start diving? In 1979 near Bimini, Bahamas. Favorite hobby outside of diving: Retired but still a pilot, I love to fly my private plane as often as possible. 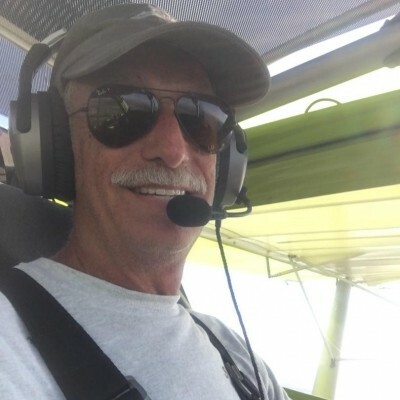 Keith A. Kaplan has been an ADI Instructor since retiring as a Commercial Pilot in 2013. His First scuba dive was near Bimini, Bahamas on a ditched drug smuggling plane around 1979-80. He started working as a PADI Pro way back in 1987, "That's the last century to you youngins". Keith spends most days either underwater or up up up in the air in the Little Green Machine. Diving in places like Kentucky, Missouri, Illinois, Florida, Indian River Lagoon, EPCOT are fun; BUT, diving in places like Chuuk, Palau, Galapagos, Roatan, Belize, Bonaire, Dominica, Cayman Islands, Bahamas, Turks and Caicos, St. Martin. Now that's a bucket list overflowing with excitement. Come along for the adventure! When did you start diving? : I was certified Open Water in 1989 through Temple University. What's your most memorable dive? : The Thresher Shark Dive in Malapascua Island, Philippines, was one of my most memorable dives because the sharks look like torpedos, they way the move through the water, just amazing. Where is the most exotic place you've dove? : Palau, Micronesia was the most exotic place, with incredibly diverse diving, from World War II wrecks, beautiful reef walls, shark encounters and Jellyfish Lake, all in crystal, clear, blue waters. What's on your Diving Bucket List? : The rift between the European and North American continents, Silfra, Iceland has been my bucket list dive for many years. Favorite hobby outside of diving: If I am not scuba diving, or surfing, I relax by singing karaoke. When did you start diving? In 2014, after friends invited us to join them for a 3-week cruise on their sailboat in Fiji. What’s the most memorable dive you’ve done? Swimming from the upper shallow reef, through lava tubes, and exiting for a drift dive on the White Wall off the coast of Taveuni Island, Fiji. Where is the most exotic place you’ve dove? Fiji… yeah, I was spoiled right out of the gate! Favorite hobby outside of diving? Surf fishing and just hanging at the beach. 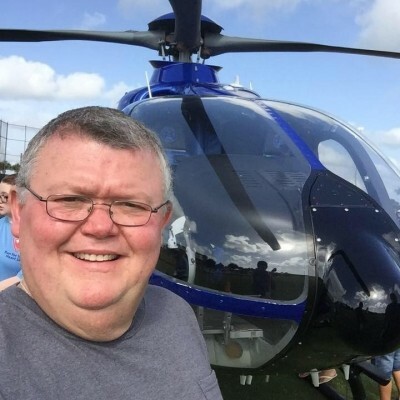 Career/Job – current/past: Retired USAF officer, still working for them as a civil servant/government civilian to pay the bills. Doing the dive instructor thing for fun! What’s the most memorable dive you’ve done? Zero viz, swift current, solo diving for megalodon teeth in the Cooper River, South Carolina and lots of other dives! Where is the most exotic place you’ve dove? The Great Blue Hole, Belize and Gordo Banks, Sea of Cortez, Baja California, Mexico and many other great places! Favorite hobby outside of diving? more diving!! Career/Job – current/past - retired US Army Officer (Explosive Ordnance Disposal) and retired State Circuit Court Administrator. What’s on your diving bucket list? Truk Lagoon (Chuuk) and the Galapagos. Born: Aberdeen Proving Grounds , Aberdeen, Md. American Divers Int. Merritt Island, Fl. Most memorable dive- " Haven't had it yet". Most exotic place I've dove- " Haven't been there yet". Hobby's other than diving- Surfing, kayaking, roller skating, archery. Previous careers; Plumbing ( Ret. ), welding, tattooist. Currently working for Ace Hardware. My bucket list dive would be to dive in Fiji and The Red Sea off Egypt. 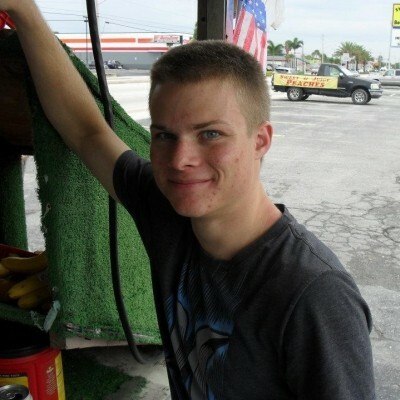 I moved to Ocala Florida from Illinois when I was 8. I was Open Water certified in 1980 at the Dive Locker in Ocala. After high school I enlisted in the Navy, I was in from 1981 – 1985. In 2000 I obtained my Advanced Open Water certification in Orlando FL. in 2004 I went on to Rescue Diver in Indian Rocks Beach, FL. In 2018, I achieved the Divemaster Certification here at American Divers International.